Starring Oliver Hardy and shot in 1916, this brief gut-wrenching silent film scene captures the vibrancy of an early urban core filled with buildings, pedestrians, streetcars, cars and bicycles. Excerpt of original Bouncing Baby. A one-reel comedy made in 1916 in Jacksonville. 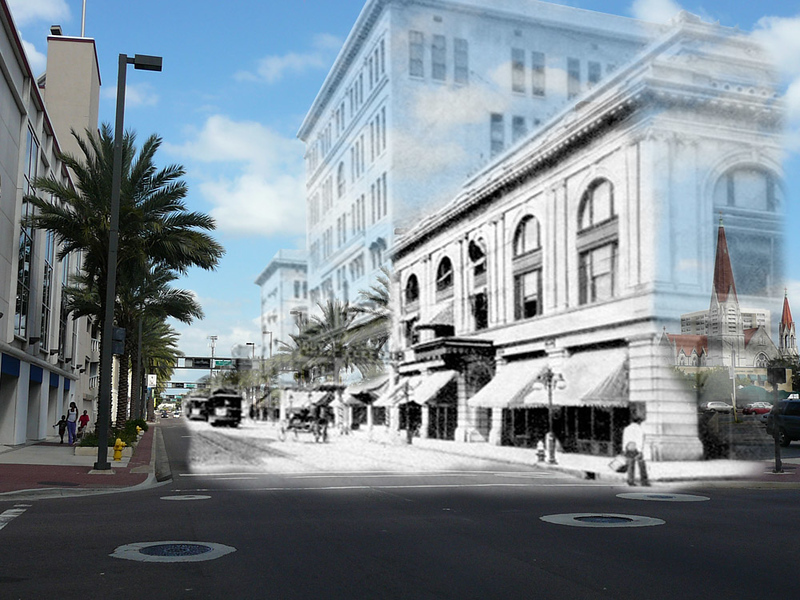 To see full-length versions of this and other videos from the State Archives of Florida, visit https://www.floridamemory.com/video/. 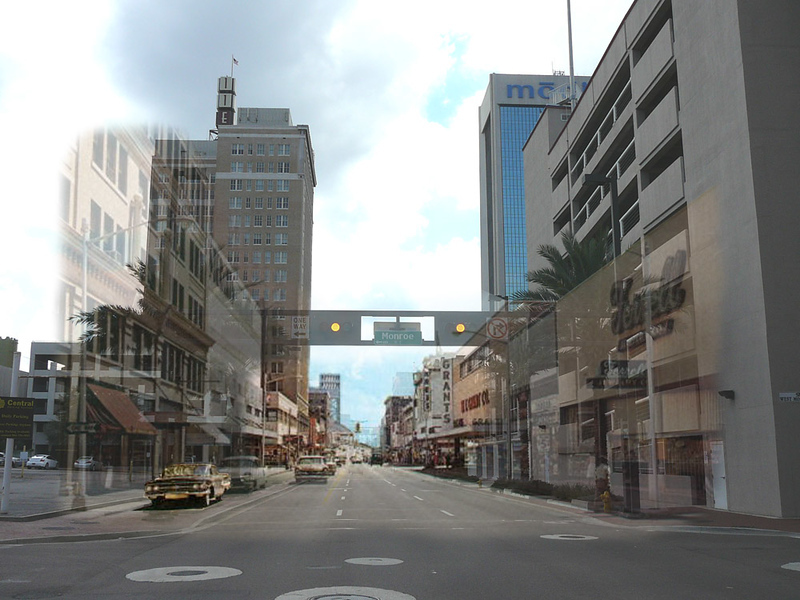 Main Street before and after graphics courtesy of Ennis Davis, AICP.